Is traffic getting you down? 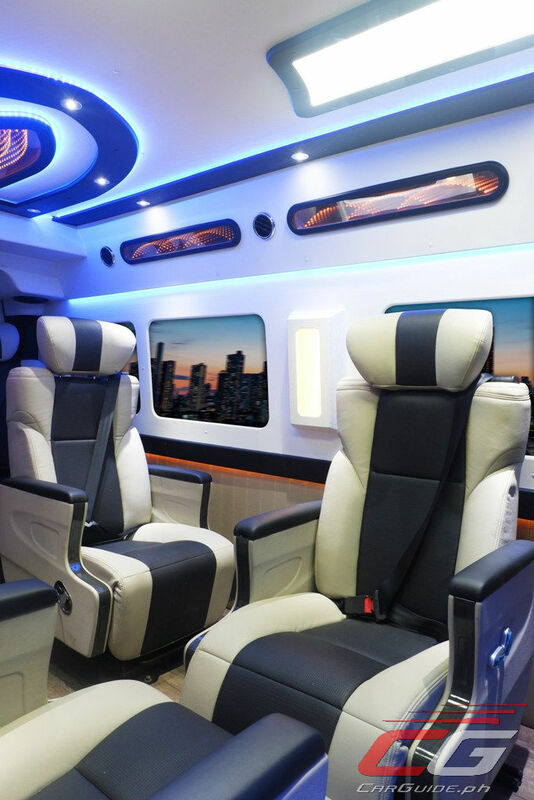 Do you wish you could turn your everyday commute into something that resembles first-class travel? 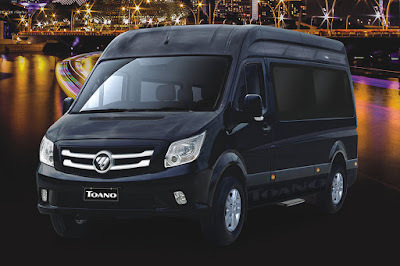 Well, it can now be a reality with the new Foton Toano Limousine. 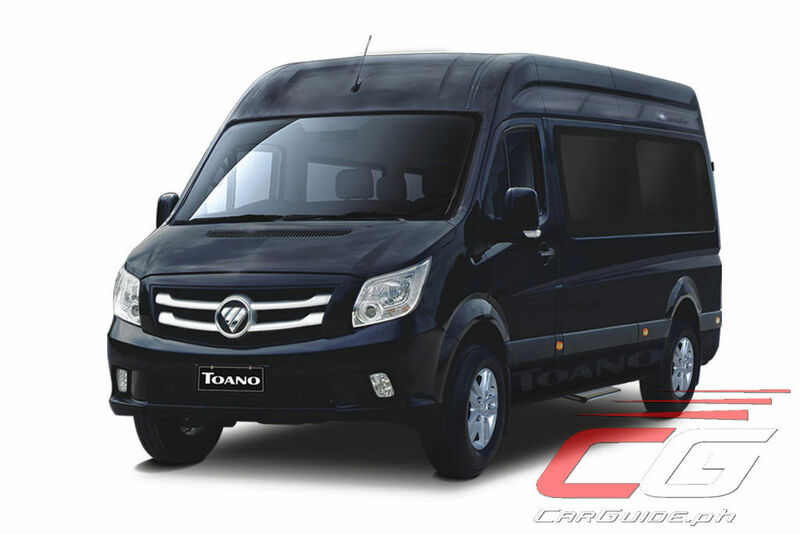 Admirably serving hotels and big families alike, the 15-seater Toano has been a surprise success for Commercial Vehicle maker, Foton. 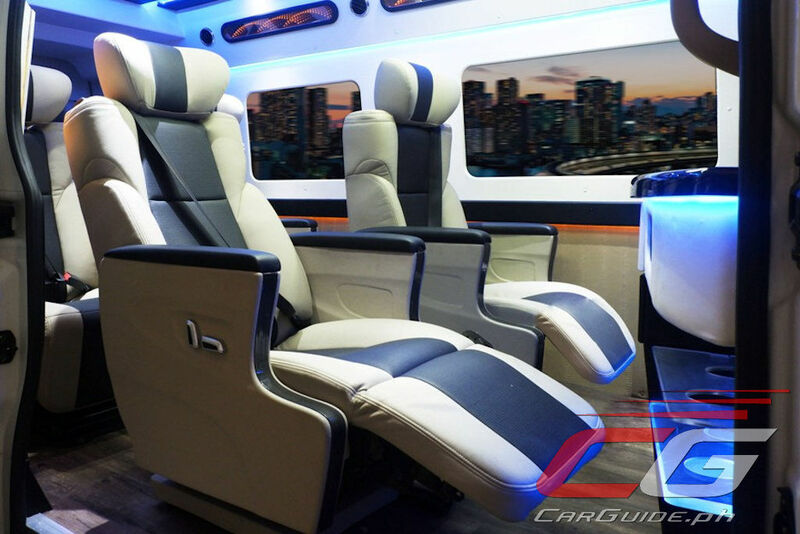 However, the clamor for a more luxurious offering has prompted them to “landscape” the standard model and turn it into a first-class hotel on wheels. 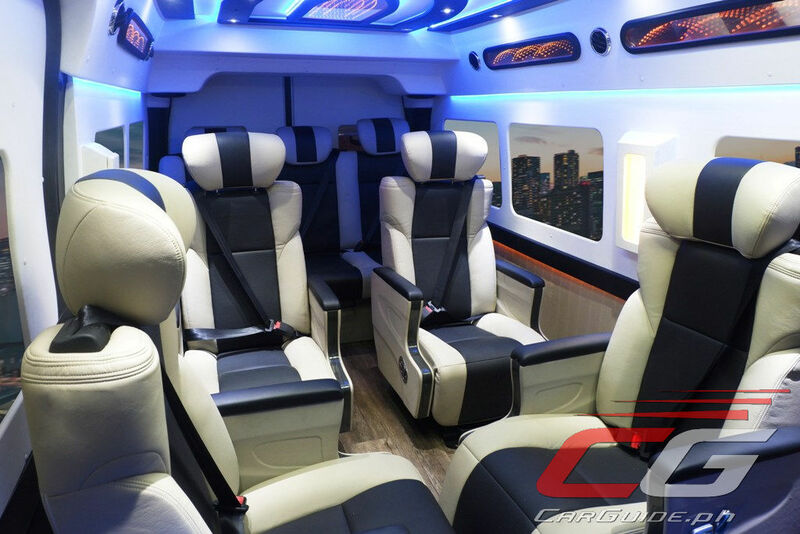 Reducing its passenger count by 5 (the Toano Limousine seats 10), the Foton Toano Limousine is packed with all sorts of tech and convenience features—some of which are unique in its class. First up, the seating configuration has been changed to accommodate two rows of individual power-adjustable captain’s seats with the first and fourth rows remaining a three-seater bench. 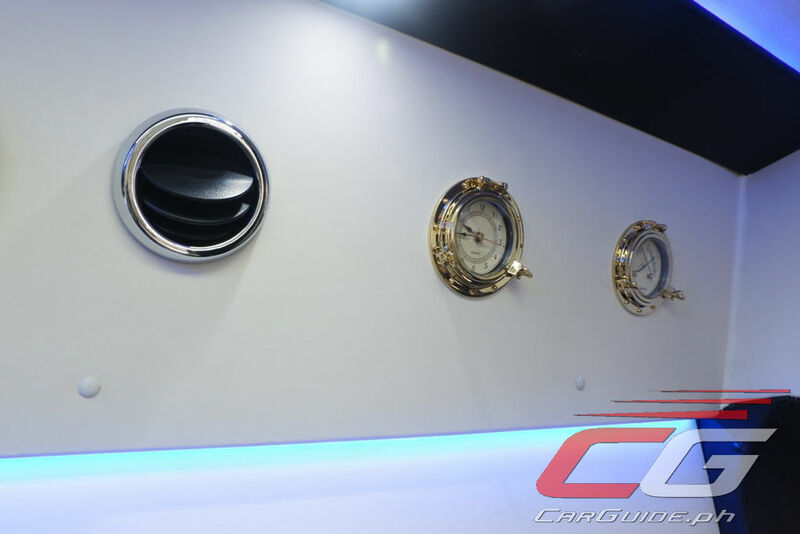 This is coupled with a nautical-themed cabin with black-and-white leather upholstery, laminated wood flooring, LED lighting, and blue mood lights. It also comes equipped with a heater, clock and comfort meter, additional accessory power outlets, and even an electric kettle. 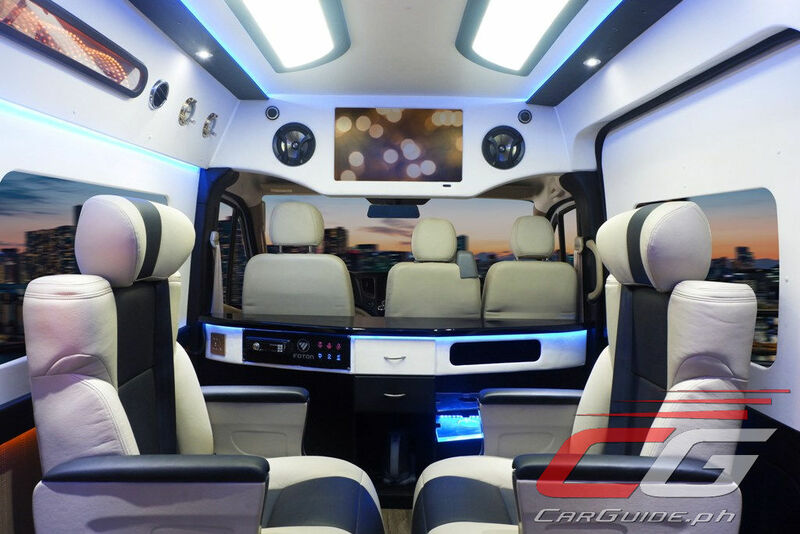 Of course, the Toano’s conversion isn’t complete without a first-class infotainment system and in this case, it has surround sound amplifier and dedicated subwoofer. It also has added sound insulation as well making it the perfect mobile theater to enjoy movies on its 23-inch LED monitor. 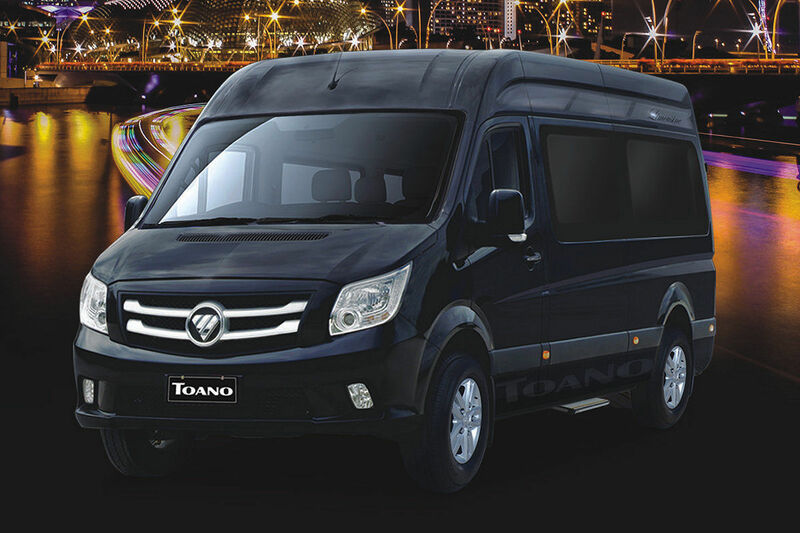 Measuring in at 5.99 meters in length, 2 meters in width, and 2.415 meters in height, the Toano is one of the tallest vans in its class. In fact, it boasts of a near-6 feet in interior stand-in height. Thankfully, power step boards allow for easy ingress and egress. 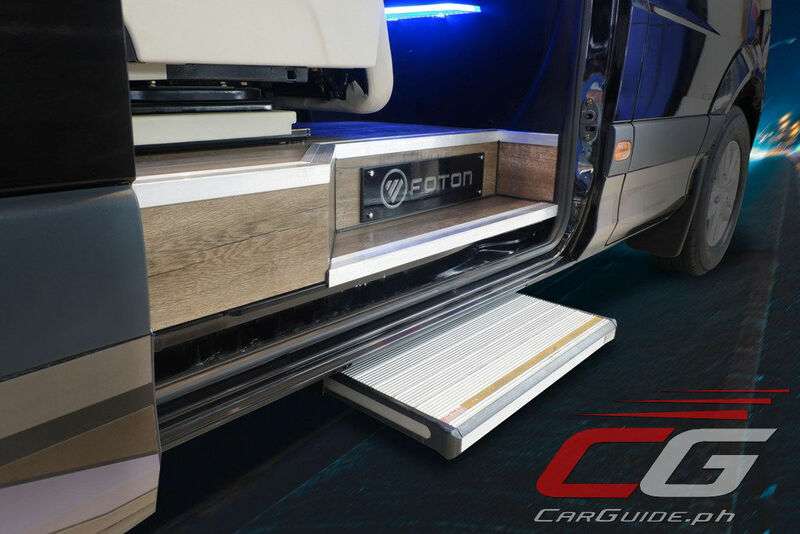 Naturally, all this girth requires some great motivation and thankfully, it comes with a Cummins 2.8-liter 4-cylinder common rail direct injection diesel engine. Equipped with Blue Energy, it’s Euro 4 compliant and generates 160 horsepower. The sole transmission remains a 6-speed manual. 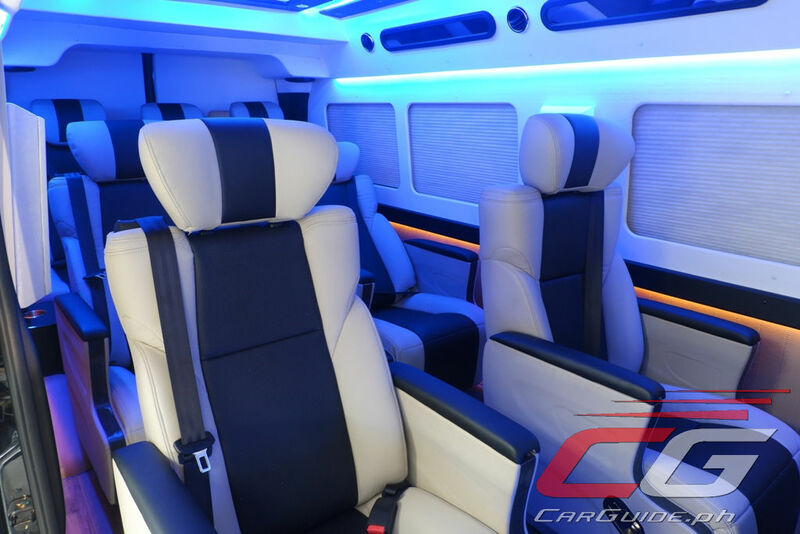 Additionally, the Toano Limousine comes with a full-set of safety features such as dual SRS airbags, ABS with EBD, and a 4-probe reverse sensor with camera. It also has headlamp level adjuster, front and rear fog lights, and LED side mirror signal lights. 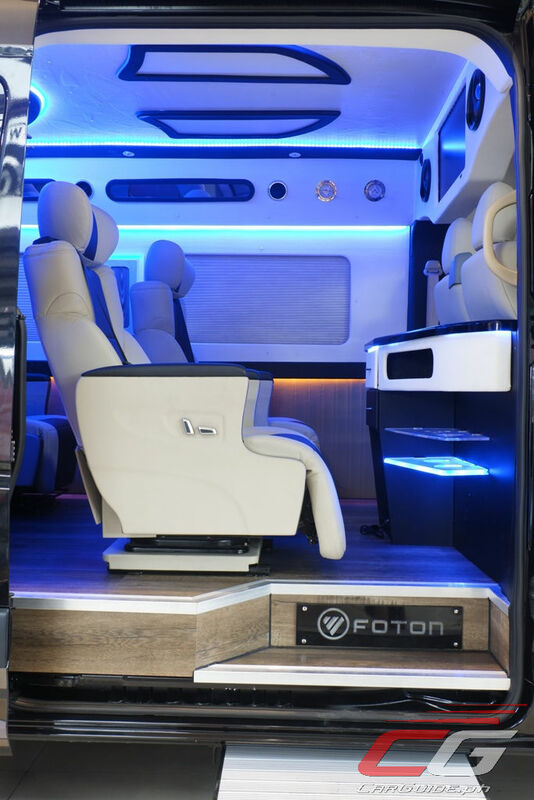 The Foton Toano Limousine comes in four colors: Phantom Black, Aurora White, Metallic Silver, and Amber Bronze. 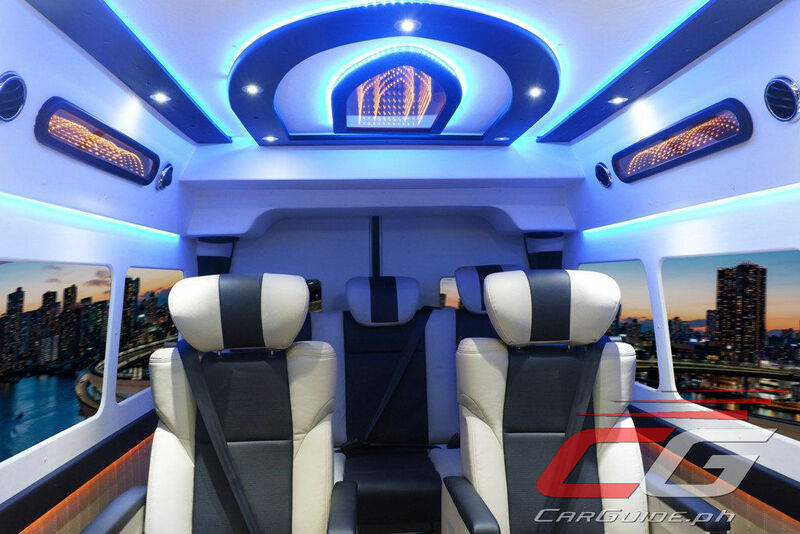 The price for all this luxury comes at P 2,580,000 or a P 608,000 premium over the regular 15-seater Toano.